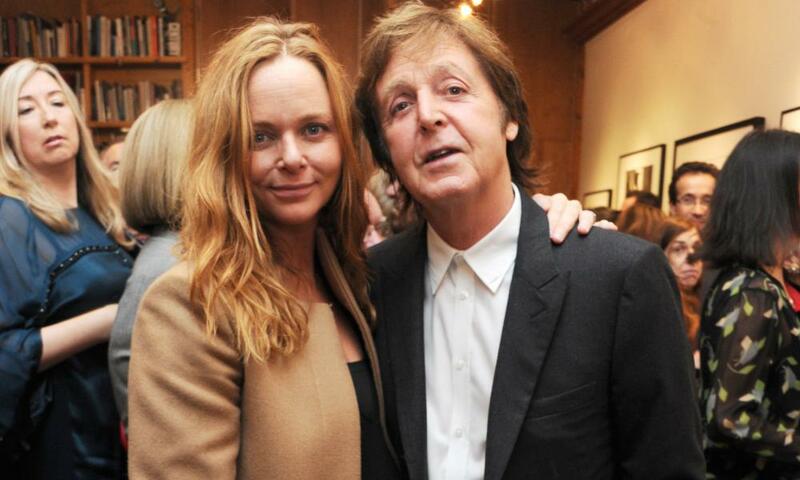 Stella McCartney has taken full control of her eponymous fashion label by buying out her partner Kering, the French billionaire François-Henri Pinault’s luxury goods company, which also owns the Gucci and Alexander McQueen brands. McCartney announced on Wednesday that she had bought a 50% stake in the label, which Kering had owned since the brand was founded 17 years ago. The daughter of the former Beatle Sir Paul and Linda, the late photographer and animal rights activist, she became interested in fashion at a young age and designed her first jacket at 13. After interning at Christian Lacroix and rising to become the creative director of the Parisian fashion house Chloé, McCartney, 45, started her own label in a joint venture with Kering in 2001. The brand, which has stuck to strict ethical principles and does not use leather or fur, has grown to 17 stores across the world, including Mayfair in London, Soho in Manhattan and West Hollywood, in Los Angeles. Neither McCartney nor Kering would comment on how much was paid to buy out Kering’s stake. It has been rumoured that Sir Paul McCartney had helped her finance the deal. McCartney had until the end of this month to exercise an option to buyout Kering’s stake, according to the terms of the joint venture. Pinault, Kering’s chairman and chief executive, said: “It is the right time for Stella to move to the next stage. Kering is a luxury group that empowers creative minds and helps disruptive ideas become reality. I am extremely proud of what Kering and Stella McCartney have accomplished together since 2001. McCartney’s brand was a small part of Kering’s business, which reported its most profitable year on record in 2017, making profits of €3bn on sales of €15.5bn. Kering said growth at its Gucci and Yves Saint Laurent brands had been “spectacular”. The company’s fastest growing brand is Balenciaga. Kering has been slimming down its portfolio of brands including the spin-off of the German sportswear brand Puma in January. Sales at Stella McCartney’s UK division rose 31% to £41.7m in the year 31 December 2016, according to filings at Companies House. Profits were up 42.5% to £7m compared with the previous year. McCartney said she will remain on the board of the Kering Foundation, which aims to tackle violence against women, and will continue to collaborate with Kering on improving sustainability in fashion.